I started to make performances, site specific installations and things like that before I knew what they were called. I didn't know it was art, although I had a vague feeling it might be related… I just had this urge to make up these kinds of things. It was all out of pleasure and curiosity towards doing these things. I was then a teenager playing classical guitar and being active in amateur theatre (directing, acting and writing). 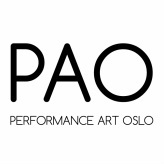 Later - after a deep disappointment with theater - I found out about a BA course on Performance Art and Performance Theory at the Turku Arts Academy. After reading their curriculum, I realized that I had been all these things already and wanted to explore them further in what could be called performance art. My process is ongoing. It is slow and sticky and continuous in such a way that sometimes it is difficult to think of individual pieces as separate from the whole. It is like an ongoing dialogue that constantly moves asking always new questions. It involves lots of reading (philosophy, theory, poetry) and thinking, as well as walking, stretching and swimming. And hanging around with plants and minerals and such! The starting point is often an unarticulated question. It is a physical sensation - like itching - that won't leave me alone. Pushed by it, I start to draw mind maps out of questions, observations, quotes, and small drawings of objects, bodies and other things in action. As I have the tendency to think of my work as an (eco)system or organism, creating these maps is about figuring out the logic of this particular system. And then I just start to edit the actions, the doing and being that belongs in it. This year I finished a series of work in which I explored the possibility to perform plants thinking. As part of the project, I collaborated with a botanist, studied plant physiology, plant thinking and other contemporary philosophy. I made live performances and exhibitions working with video, text and something that looked like installation, but actually was a performance by objects. The dialogue with the botanist continues, and now the work is opening up to wider systems - in which the plants are also involved. I'm quite exited about the feminist take on new materialist theories and feminist science studies, Karen Barad's concept of apparatus, Donna Haraway's companion species and Jane Bennets ideas on vibrant matter. I'm interested in the complex interaction, the intimate relations between human and non-human bodies - including the inorganic things and technology… We'll see what comes out of this! Q: What role does performance art have in your life / artistic praxis. Do you also work within other fields, like installation, sculpture, drawing, other expressions. How do they influence / inform each other. Lately I've been working quite a lot in the fine arts context. But all of my work is performance based. This means that there is always someone -or something- doing something. The end result might be a video or a text, or something else, but the starting point is always a gesture or an action - a process. I work with actions and gestures - with doing and being. As I'm interested in relations, the ways in which bodies shape and are being shaped by others, my work often involves collaboration with human and non-human participants such as plants and minerals and other. I do consider the space always to be one of my performers. So it has an active role, as well as the audience that possibly exists in it. As with all my collaborations, I have a great respect towards their sensitivity and being. I don't want to force things. Instead I'm interested in allowing - in making things visible and flowing. I want to invite all the participants to be there with me, to become a part of the organism of the work.